to make ties. Whatever width you like, I usually go with about an inch and a half) and however long you prefer (mine are usually 18 inches or so, I like lots of fabric for tying. Pin the ties and the triangle together such that the part that goes around your hips and the top of the ties make a straight line. Then sew back and forth along that seam – I usually sew it 3 or 4 times to make sure it is strong enough considering how tight I tend to tie my hip scarves. Next fold and pen the hem all the way around the hip scarf, up both sides of the triangle, along both ties and across the top. Then sew the hem using a straight stitch. 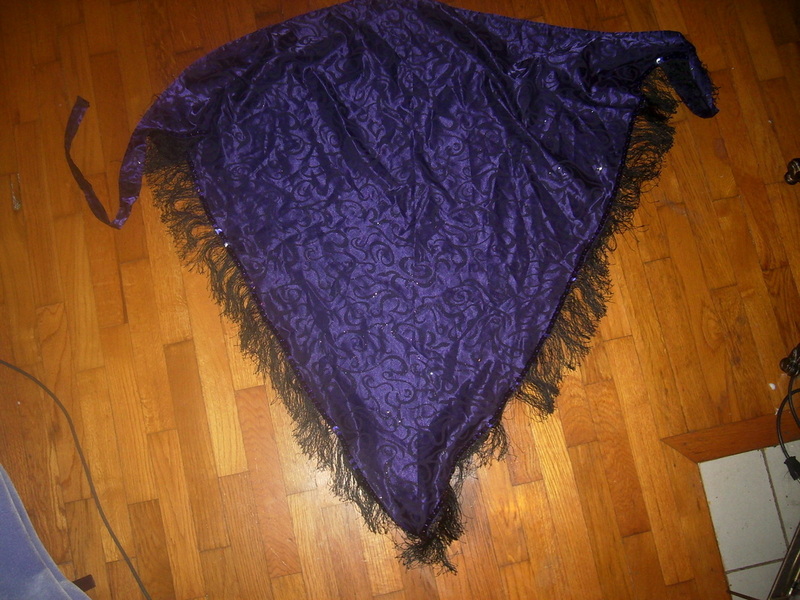 Next, pin chainette or beaded fringe to the underside, along the edges of the triangle. The amount you will need will vary depending on how wide your fabric was and how long you decided to make the scarf, also whether or not you want fringe along the top edge or just along the bottom two edges of the scarf. If you are using chainette fringe or beaded fringe that is on a ribbon, you can then machine sew the fringe on using a zigzag stitch. If you are using beaded fringe that is on a shoestring then I suggest hand stitching the fringe with a stitch between each strand of beads. Once the fringe is on, you can be done, or you can add additional decorations. 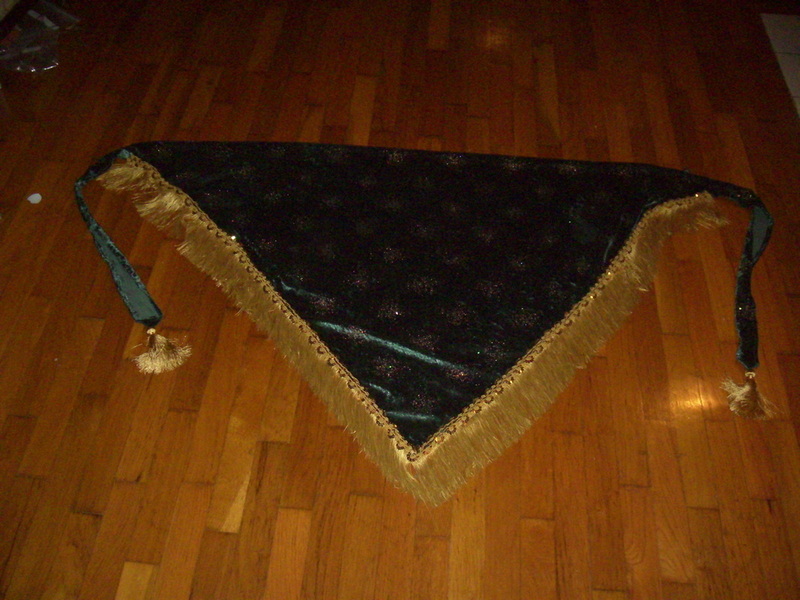 I like to sew tassels onto the ends of the ties and sequined trim or braid along the edge of the triangle, both of which will most likely need to be added by hand sewing. The above instructions will also work if you get the coin trim on a ribbon. However, individual coins or sequins require a different technique.